Improving accessibility for disabled visitors to Bury St Edmunds town centre, the success of the town’s art trail and a major attraction for the run up to Christmas were all areas for discussion at the Business Improvement District (BID) AGM last night (Wednesday). Representatives of member businesses joined directors and staff of Our Bury St Edmunds at the meeting in The Athenaeum to hear about what had been achieved in the last year and plans for activities into 2018. Our Bury St Edmunds Chief Executive Mark Cordell gave a presentation in which he spoke about plans for the BID to work closely with the Destination Management Organisation, which is being launched this year with the aim of attracting more visitors to the area. He also spoke of the good partnerships the BID has formed with other organisations, in particular the Town Council and St Edmundsbury Borough Council. 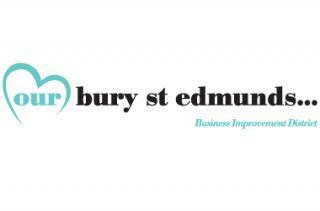 A question and answer session at the end of the meeting led to a discussion about how businesses can make themselves as accessible as possible for disabled customers and making Bury St Edmunds a more dementia-friendly town. Members also heard about plans for another art trail to commemorate the end of the First World War and that a major attraction for Christmas shoppers will be announced soon although there are no plans for an ice-rink this year.